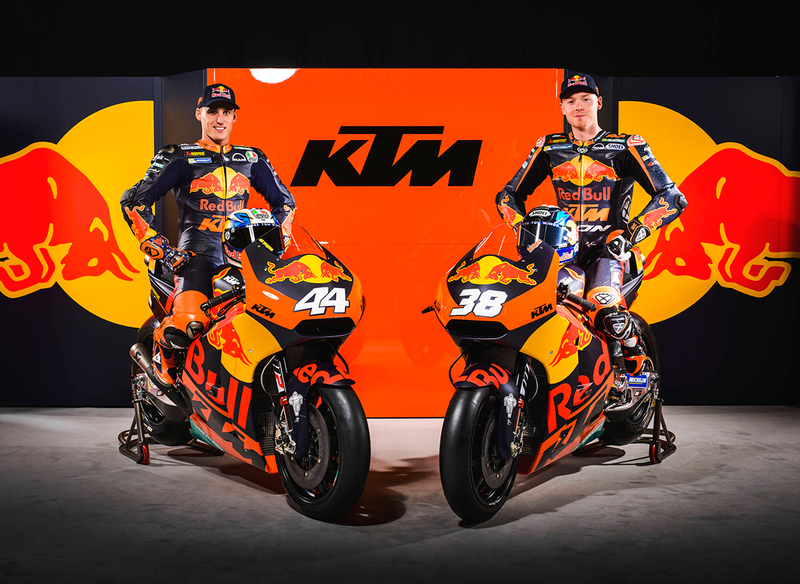 The 2017 KTM RC16 has been revealed on Monday in Austria as Red Bull KTM Factory racing unveiled their MotoGP World Championship projects for the coming season. After debuting in the 2016 Valencian GP with Mika Kallio as a wildcard, the team prepares to line up full time on the MotoGP grid and just came back from the first tests of 2017 at Sepang and Phillip Island. Spaniard Pol Espargaro and Bradley Smith from the UK were on hand to present their machines, with the new Moto2 and Moto3 projects also revealed during the launch. "KTM is really new to MotoGP compared to other brands and we're making huge steps," said Espargaro, who made his MotoGP debut in 2014. 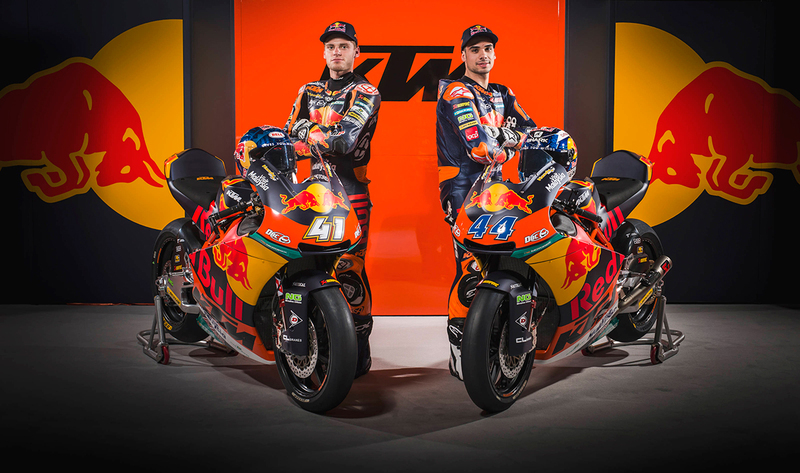 In Moto2, Red Bull KTM Ajo are headed by reigning Moto3 World Champion Brad Binder and 2015 Moto3 runner up Miguel Oliveira, with a new KTM chassis in the class proving a new challenge for the riders and for Team Manager Aki Ajo. Moto3 has a line up change for Red Bull KTM Ajo, as Brad Binder graduates to Moto2. Bo Bendsneyder remains with the squad after his first podium finish as a rookie, but lightweight class race winner Niccolo Antonelli joins the squad on the other side of the garage.